If you’re a nonprofit, aren’t you supposed to not ask for money? In an ideal world, that might be true, but the reality is that nonprofits are constantly tackling the subject of fundraising hoping they don’t sound like car salespeople. Not to mention that rounding up volunteers is sometimes like trying to herd cats. Everyone is busy, rushing through their 9-to-5 lives, but with a little creativity and the power of social media, you can make fundraising and recruiting volunteers more enjoyable for all. For people who use their mobile devices regularly, about 39 percent of them follow Twitter’s news recommendations. 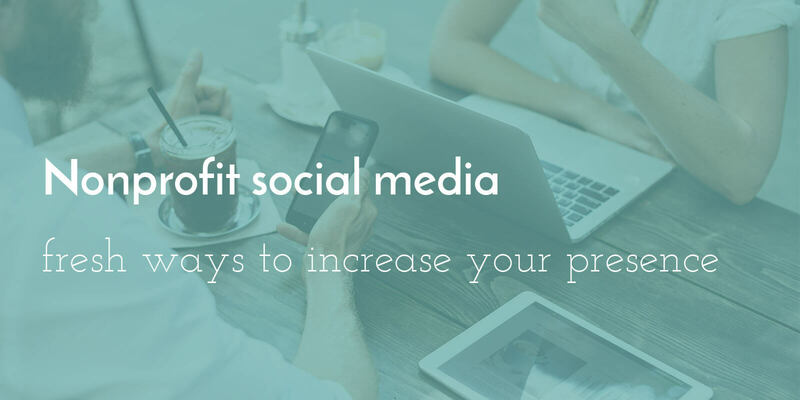 What does that mean for your non-profit? Sharing simple updates about how donations impact the people, with a link to donate, helps drum up attention. Give your donors exact information from the ground. Feature the story of a volunteer or someone your nonprofit has strongly impacted on Facebook. Social storytelling is powerful, engaging all of the senses. With Facebook, you can sponsor a post to boost its signal. Tell the story with photos in a status or link to your organization’s blog. Pinterest allows anyone to build boards around various topics and interests. You can build boards around events, volunteer opportunities, quotes or items for sale to raise money. 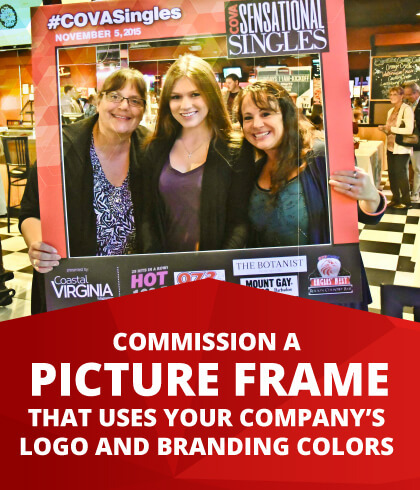 For example, at your next event, you might create a photo op with a picture frame designed just for your brand, using costumes and fun props within the frame. Visitors could take a photo with their friends or a member of your organization and share it on Pinterest or Instagram. You can also share news about awards and grants on Pinterest to pin a big milestone. 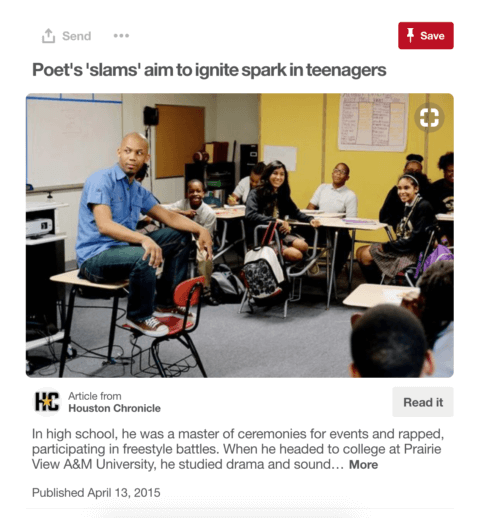 For example, the Houston Chronicle pinned an article about Outspoken Bean, founder of the Space City Slam series, whose poetry workshops seek to inspire and motivate students. You can gather such news articles and repin them to a specific board to share their impact. Even the social media giants take notice of campaigns for good. For example, the nonprofit Truth created a visual campaign called “Big Tobacco Be Like” to take down delusions about social smoking and capitalizing on the viral meme #BeLike. Truth’s campaign resulted in a 55 percent increase of young people agreeing that even smoking on the odd social occasion supports the negativity of Big Tobacco—a realization that has resulted in decreased smoking rates among teens. The nonprofit then partnered with Vine and Instagram to create a vignette series that contrasted smoker social perceptions against the reality of Big Tobacco, with the hashtag #BigTobaccoBeLike. The ads were also featured on national television targeting preteens and young adults. Featured later on YouTube, the ads got one million views in 24 hours. After all, they say “sharing is caring,” and the results are in: People care about the social topics they find online. They are inspired by the need and impact of nonprofits and individuals on the world. Tell your nonprofit’s story, and the people will come.